My last post discusses regular student reflections. When that assignment appears to be failing, it may be succeeding. A student recently did the unexpected. S/he copied sentences from earlier reflections s/he had written for this course. It never occurred to me that someone would do this. As I have considered this episode further, however, I see how I tend to set up situations for students. I guess I am a designer as much as a teacher. I set up situations in which students make meaning from the material. That meaning can be personal, and if it is thoughtfully, genuinely made, it carries beyond the individual, just as Beowulf or Frankenstein does. In this case, the student revealed that s/he had missed an opportunity to make such meaning. By importing whole thoughts, s/he had saved energy by saving her/himself from thinking about our most recent studies. 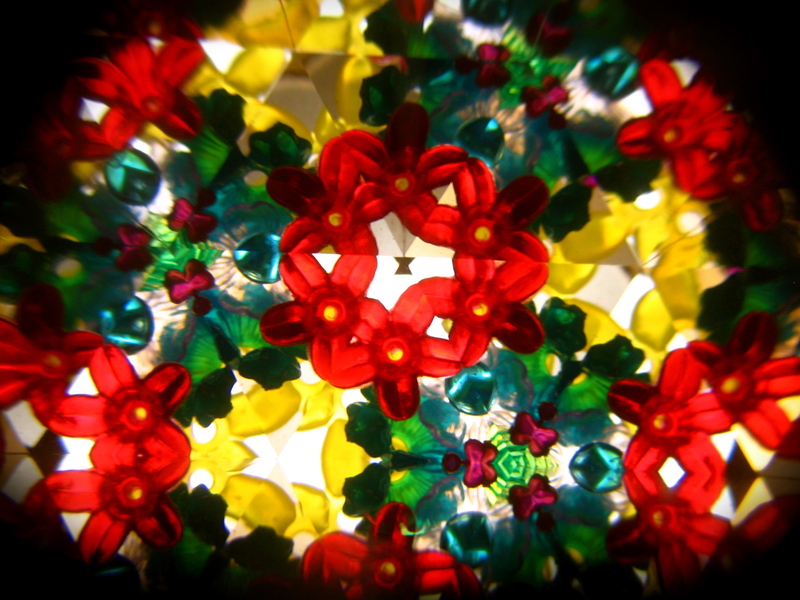 Giving students the occasional task of reflecting is like handing them a kaleidoscope. The responsible, engaged or curious students twist the cylinders to rearrange the colored shards. Then they pause to observe the new patterns. The student in question quickly grabbed the kaleidoscope, gave it a slight shake, then wrote what she (wanted me to think she) saw. So, the assignment worked. It showed me who was thinking and who wasn’t. The non-thinker appeared in sharp contrast to learners. The false reflection initially surprised and disappointed me. Some of the disappointment about the individual’s lost opportunity remains, but the surprise has become confirmation, upon reflection.